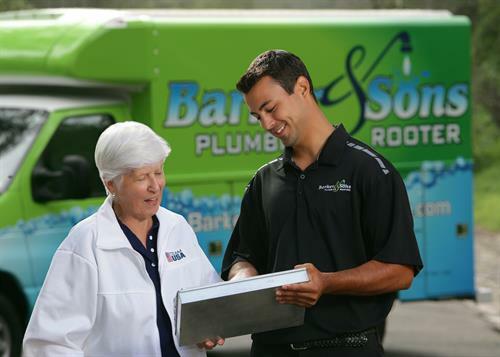 At Barker and Sons Plumbing & Rooter, we are a dedicated team of professionals with 35 years of experience who provide the best customer service and the most current technologies across Orange County. We are proud to offer a complete range of top quality plumbing services for your home or business from drain cleaning, trenchless sewer pipe lining, water heater repairs, slab and gas leak repair, leak detection, unclogging toilets, water filtration & water softeners, you can trust our high-trained plumbers. 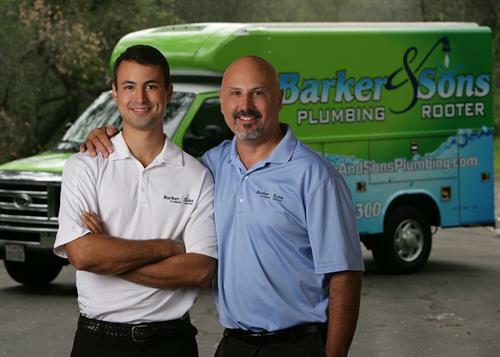 No job is to big or too small for the Barker and Sons Plumbing team. We are the trusted experts you've been searching for with the customer service you deserve. We value your time and know you're busy. Utilizing the latest technology, we will text and email a picture of your technician as well as a map so you know exactly when your plumber will arrive. So feel free to go about your day. We look forward to serving you. Your Anaheim Plumbers - We're Here 24/7/365! Leak Detection and Repair Experts! We fix leaks right the first time.